Today we will learn to identify different varieties of palm trees. Guy (on the beach, pointing to a type of palm) : Can you guess what type of palm tree this is? Guy (In an arid desert-like landscape, pointing to a palm tree) : That was easy! Here is another well known variety. Can you guess? 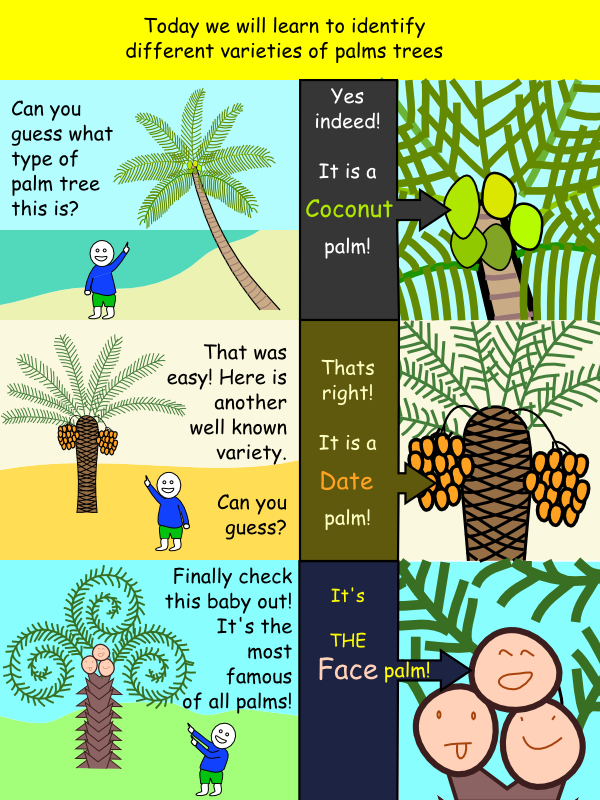 Guy (pointing with both hands to an exotic strange looking palm tree) : Finally check this baby out! 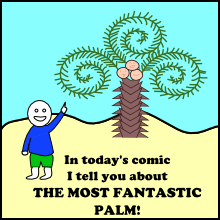 It is the most famous of all palms!